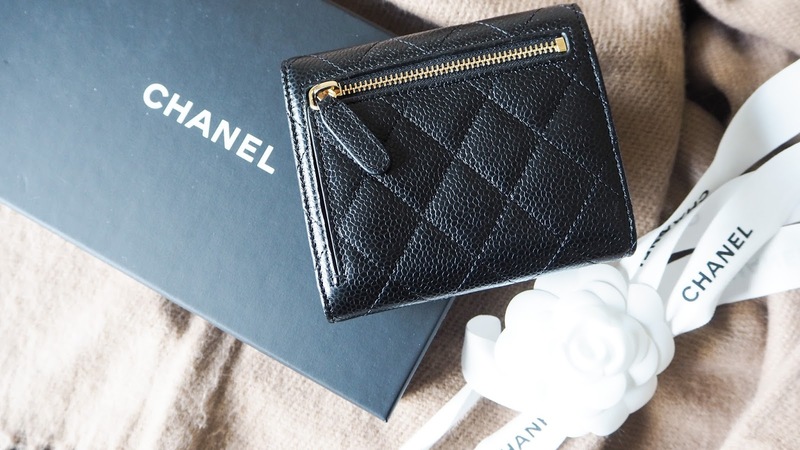 I've wanted to own something from Chanel since I was a little girl. I've had to feed the addiction with small beauty items like nail polish and lipstick from the brand. Back in January, I visited Paris with my boyfriend Alex, and on the last day, I knew I couldn't leave the beautiful city without something from Chanel. We were wandering around Galleries la Fayette, which is the French equivalent of Selfridges or Harrods, and I popped into the Chanel concession. I would describe the whole buying experience very surreal. I had to wait to be invited into the concession, as all the sales ladies were busy with customers. Once I was inside, a lady offered to help me with my choice. I knew I wanted a quilted purse and had checked rough prices online beforehand to save the embarrassment of asking the price. The sales assistant pulled out a display box of purses, which I looked through. I was torn between two black options, one which mirrored the Classic Flap design and one that matched the Chanel Boy Bag. I ended up choosing the classic quilted design, as this was a little bigger. The purse was slotted into its dusk bag and then placed in a black Chanel embossed box and neatly wrapped with a logo ribbon. I put the purse back in these after use to keep it from being damaged. I did have to show my passport as ID to register the purchase, so bear this in mind if you plan to shop. 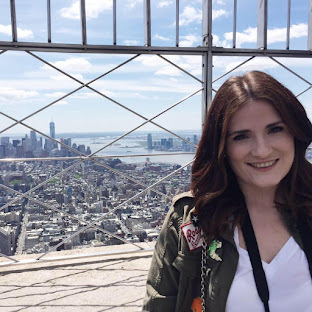 I found that the purse was around £100 cheaper in Paris with the exchange rate but this can vary from week to week, so convert prices on the day to find out any savings. 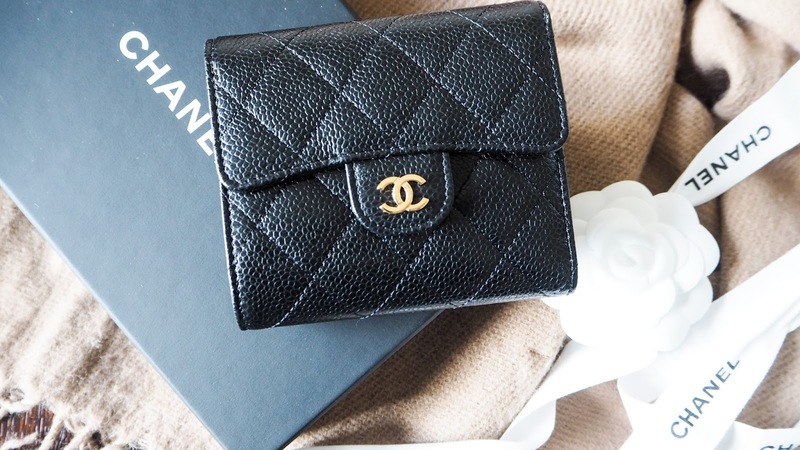 My Chanel purse has the lambskin leather on the outside, this is well known to be more durable than the calf leather they use on some other designs. 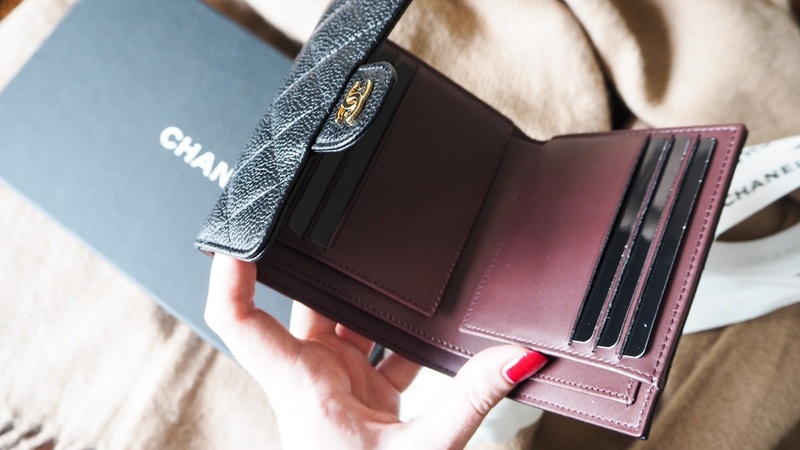 It has a softer, smooth leather in a burgundy shade in the middle. 6 card slots are in the middle as well as a note compartment behind those and a zipped coin section on the very back of the purse. The hardware is gold, of course, the classic interlocking double C's embellish the front of the wallet. I'm very happy with my choice, I decided on a timeless and durable style. I've waited until I'd used this purse a few times to write up a review as I wanted to see how well it fared over a few months. It normally comes out of the box and dust bag for special occasions like meals out or events. This purse isn't intended to be used every day. The card slots were a little stiff at first and it was a little difficult to get your cards in and out. The leather has relaxed a small amount now, so it's become easier. I adore the size of this purse, it can even fit into my smaller clutch bags. As long as I don't bring every card I have, I can fit all the necessary ones in with ease. I am 100% with my purchase, it was a little treat which came out of my bonus at work. I'm sure it will stay in my collection for many years to come. Now to save up for the Classic Flap handbag to match! Such a cute purchase! You can't beat a trip to Paris and a little Chanel..